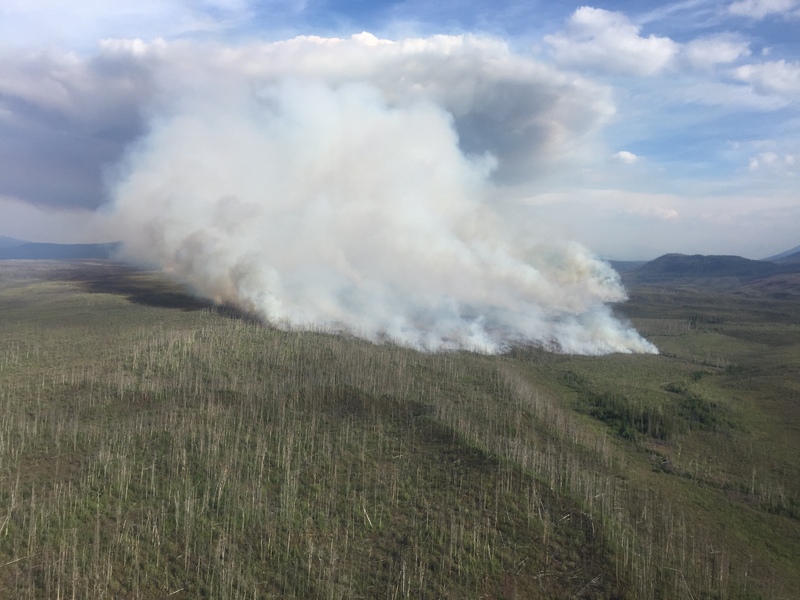 Update: The Steamboat Creek Fire is very visible and has grown significantly in size in the last 24 hours. Hot and dry conditions have intensified fire behavior which increased smoke in the valley. During the public meeting agency personnel will update the community on current and expected fire activity, forecasted fire weather, future fire strategies, and answer any community questions. Contact: Jamie Hart, Fire Information Officer: 217-549-4392. The Steamboat Creek Fire advances downhill.